I'm speaking on a panel tonight at an event being put on by the Winthrop University Association of Black Journalists (WUABJ), a student chapter of the National Association of Black Journalists (NABJ). 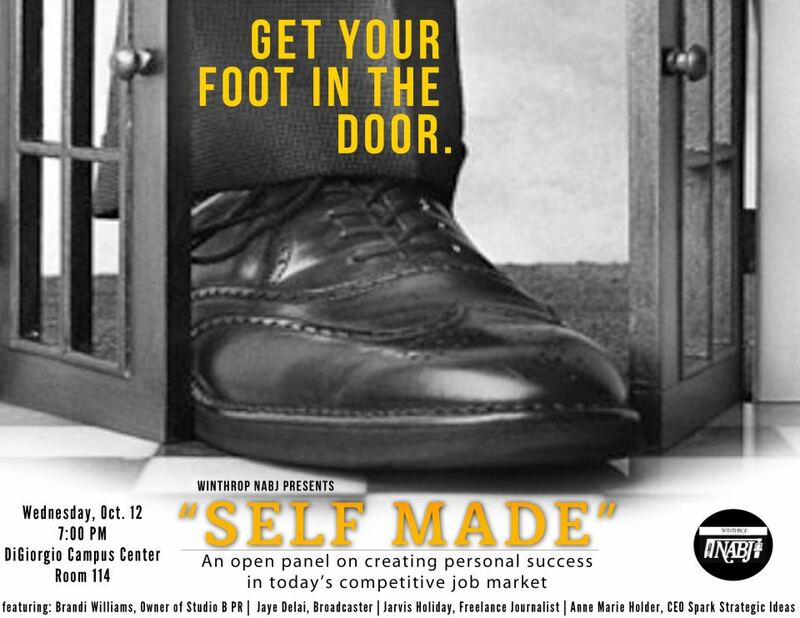 The event is titled "Self Made" and will be a discussion by a group of professionals in media who've ventured out on our own. I was happy to accept the invitation to speak. I enjoy talking to young people (keeps me young) and always hope that I can at least share one piece of advice or tip they find useful. Plus, I enjoy visiting college campuses because it usually takes me back to memories of the best four years of my life (shout to my alma mater, USC; Go Gamecocks!). 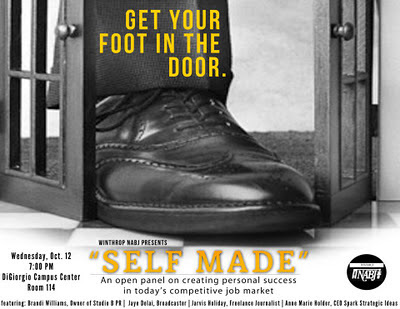 The event takes place tonight (October 12) at 7 p.m. at the DiGiorgio Campus Center (Room 114) at Winthrop. My fellow panelists are Brandi Williams, owner of Studio B Public Relations; Jaye Delai, a veteran broadcaster; and Anne Marie Holder, CEO of Spark Strategic Ideas.